Gutter Cleaning is a must! 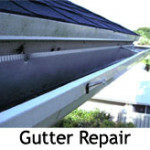 Gutter systems need to be maintained on a regular basis. 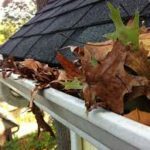 In Palm Beach County, the heavy summer rains combined with fall leaves can cause gutter blockages. 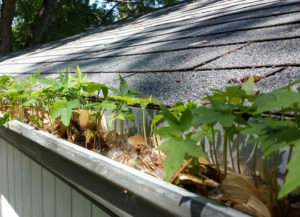 Rain gutters and leaf guards should be visually and physically inspected at least once a year to ensure that rainwater is draining properly. 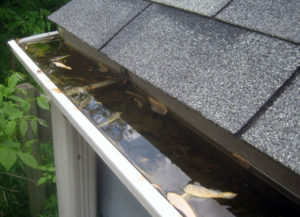 Leaking gutter corners are often a sign that your gutters are not functioning properly and in most cases are clogged with debris. Gutter Cleaning is Dangerous Work! Cleaning Gutters is not only nasty, it is dangerous as well. 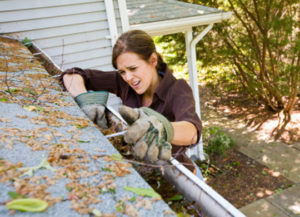 Each year thousands of people are injured and even killed by ladder related accidents while cleaning out their gutters. 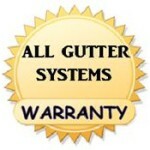 All Gutter Systems experienced crews have the knowledge, equipment and experience to do the job right. 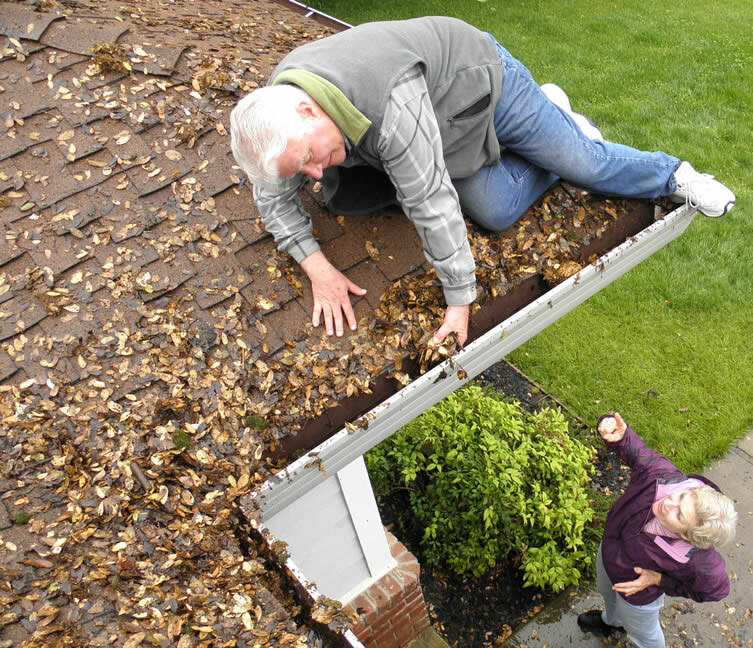 Don’t risk injury cleaning your gutters! 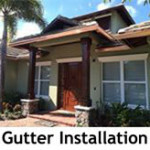 Let All Gutter Systems do the work for you. Our professionals will clean your gutters quickly and efficiently, and inspect them for problems and repairs so you will be ready for the next storm. One common question we receive is how to deal with the vertical stripes that are often seen on rain gutters. 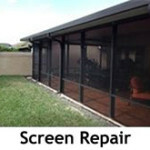 We have a solution you can use to clean your gutters exteriors. Apply the solution listed below with a sponge or sponge mop and gently scrub until discoloration is minimized. Rinse away any remaining solution immediately to prevent damage . Always wear eye protection and gloves when working with caustic chemicals. Caution: Greater concentrations may cause damage to your property. Make sure to spray off any area that the solution has come into contact with as soon as possible and to thoroughly rinse plants and flower beds to insure they are not harmed. *Please note, this process is to be used at your own discretion, All Gutter Systems is not responsible for any misuse or damage that may occur as a result of using this cleaning method.